With plastic screw cap type bottles, when you take a drink from the bottle you replace the cap and then with your hand squeeze the bottle. The person, who was demonstrating this, did this. The bottle became rigid and hissed when he reopened the bottle. 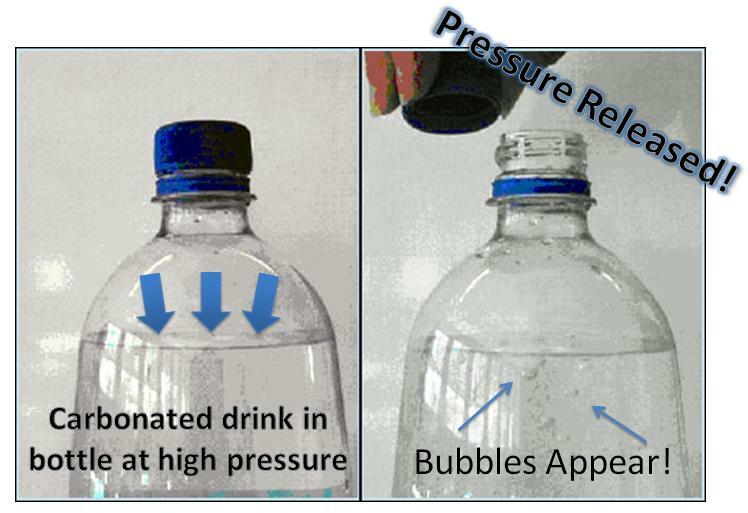 He said that it forced the carbonation back into the fluid so that it retained its bubbles longer. My mind says that all it's doing is forcing some of the bubbles out of the fluid that would have come out anyway. Perhaps this pressure prevents move of the bubbles from coming out of the fluid or he just thinks the drink stays carbonated longer. I have to ration my carbonated drink drinking. My tummy doesn't like it, my belly becomes painful with cramping. So this is one for the Science Fair topics.